DIY body butter is so easy to make, and it is also so useful. Body butters are a cinch to whip up for quick gifts, natural moisturizers, or even for baby lotion. I use this easy ultra-moisturizing DIY body butter for everything! I’ve experimented with several oils when making body butters, but I always settle on a certain ratio of hard and soft ingredients. 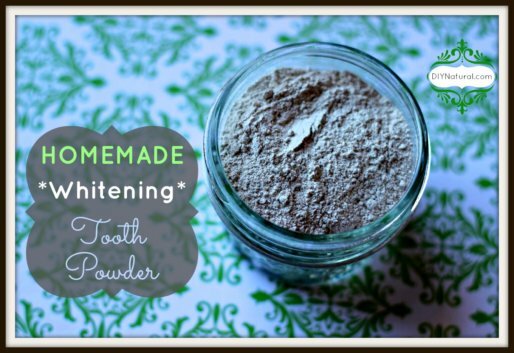 This ensures that my DIY body butter will whip up nicely and will feel light on the skin. Cocoa butter, coconut oil, Shea butter, and mango butter are all wonderful “hard” oils to use in DIY body butters. They are considered “hard” oils because they are most often solid at room temperature. They make the body butter have a harder consistency. Too many of these and you’ll end up with a lotion bar instead of a whipped body butter, but too little and you’ll end up with liquid goo! Olive oil, jojoba oil, sweet almond oil, or avocado oil are great liquid oils. 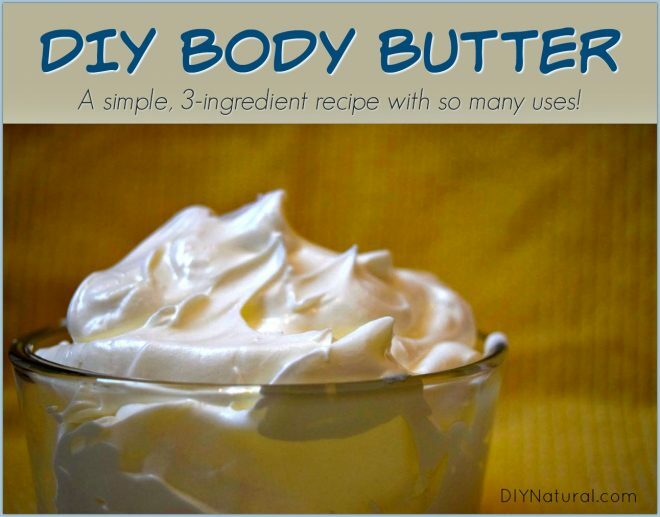 I try to make my DIY body butter recipes comprised of no more than ⅓ to ¼ liquid oils. This ensures that my body butter has a slightly higher melting point and has a nice consistency. For my Ultra-Moisturizing Body Butter, I chose my three favorite oils: coconut, cocoa, and jojoba. I always have a pretty good supply of these oils on hand because they are just so versatile for DIY beauty. While coconut oil can be drying to skin, it works very well in body butters. It allows the butter to melt easily as soon as it is warmed by the skin. It is a light oil that has wonderful antibacterial and anti-fungal properties. Additionally, it does a great job of locking in moisture and penetrating skin layers. The hardest oil in this blend is cocoa butter. I always choose a natural and unrefined cocoa butter. You’ll know you have the right one by the delicious chocolaty scent. It’s pretty much heavenly. Not to mention the amazing skin benefits of cocoa butter. Cocoa butter has many antioxidants and beneficial fats that can help heal rashes, signs of aging, and skin dryness. Many use it as a remedy for stretch marks and blemishes. The liquid oil in this blend is jojoba oil, which is actually a wax. Jojoba is a great natural moisturizer that penetrates easily into skin and provides a natural barrier on top of skin. It is antibacterial and anti-inflammatory. Jojoba has been used to treat a variety of skin conditions. 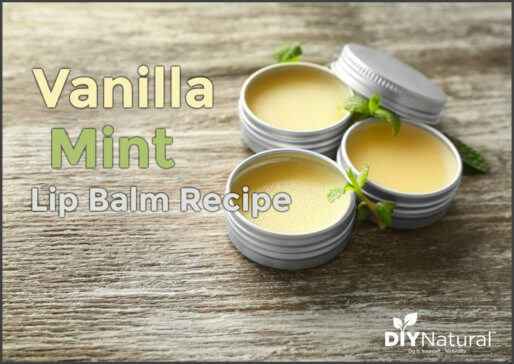 While many people love to change up the scent and therapeutic properties of their body butters with essential oils, this recipe works well on its own. The smell is absolutely delicious too! I like to keep this recipe free of essential oils so that I can use it with whomever I choose – from my 10-month-old son to my 80-year-old grandmother. Measure oils using a digital kitchen scale. When the oils are still liquid, but starting to harden, begin to mix them in a stand mixer. (You can use a handheld mixer as well, but it takes A LOT of time, so you’ll need to plan on mixing for a while). If it seems like the oils are staying liquid forever, put them back in the fridge to harden up. If your home is warm, this process can take quite some time. I always notice it takes longer in the summer for me. 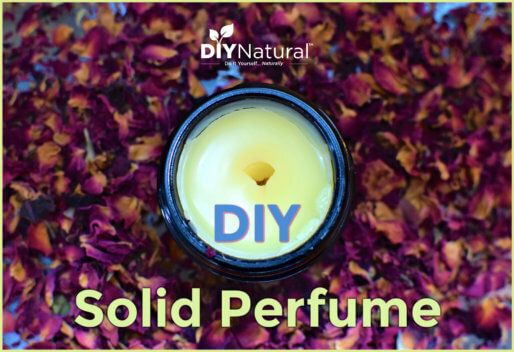 Once the oils seem to be light and fluffy, transfer them to a glass mason jar or another type of reusable container. Place in the fridge to fully harden. NOTE: If you live in an area where it is warm you may want to store your body butter in the refrigerator. Body butters are designed to melt when they make contact with the skin, but if your home gets warm, they will melt back to their liquid state. I live in Pennsylvania and find that I can leave my body butter out year round with no problems. Looking for more body butter recipes? Check out this post of over 50 great body butter recipes to try! I would like to try adding some essentials oils to this recipe to. Do you have a recommendation for how many drops to use? Thanks! Hi Kari! 40 drops of essential oil would give a 0.7% dilution, but would be plenty to lightly scent the body butter. 85 drops would give it a 1.5% dilution and a much stronger scent. I’d suggest going somewhere in between 40 and 85 drops depending on which essential oils you choose. Peppermint or other strong oils could probably be used at 40 drops while citrus and top note essential oils can go upwards of 80 drops. Hope that helps! I live in very warm climate. What can be added to the soap to maintain the same consistency outside of the refrigerator. Stearic acid perhaps? This is not a soap recipe. This is a recipe for body butter. I make my own as well & love it! Meg is right, but I think you knew it was body butter, Carol 🙂 . I prefer to keep this recipe additive free to maintain its simplicity. The beautiful thing about body butters is that they melt easily. You could try adding more hard oils – changing the ratio to mostly cocoa butter or subbing the liquid oil (jojoba) for a harder oil (cocoa, shea, or mango butter). As a last resort, just keep it in the refrigerator and use it when needed. What could I use instead of coconut oil? it says right in the article: “Cocoa butter, coconut oil, Shea butter, and mango butter are all wonderful “hard” oils to use in DIY body butters.”, so I think any of the other oils would do. (Shea Butter or Mango Butter). I meant, what can I use to replace the coconut oil and not use it. Marie – yes, you can use any of hte butters mentioned above to replace the coconut oil. I’d suggest mango butter or shea butter because they have a similar hardness to coconut oil. How long before the body butter turns rancid? It should last until the expiration date of the oils. Storing in the refrigerator also helps to preserve the lotion. You can also add some vitamin e oil to help preserve the oils if you plan on keeping them a really long time.